TOA Paint (Malaysia) Sdn. Bhd. 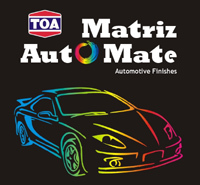 In the region of Malaysia, TOA Group joint venture with a leading Malaysia businessman in founding TOA Paint (Malaysia) Sdn Bhd at 1993. The company's head office, warehouse and training centre are located at Taman Bukit Maluri, Kepong, Kuala Lumpur. Another 3 branch offices are located in Johor Bahru (which situated at south Malaysia); Kota Bharu and Kuantan (which situated at East coast of Malaysia). The person in charge of Malaysia region is Mr. Simon Tai. Copyright @ 2008. All Rights Reserved.